I've been playing Champions Online to chill out here and there. It's fun, but mostly I'm either playing with strangers or solo'ing, so the plots I come up with to blend in with the game's built-in scenarios are all just me. For someone who's used to real role-playing games, that's not always satisfying. So, given that we recently found a way to play more often locally, I thought maybe it's time get back to pen & paper style superheroing. 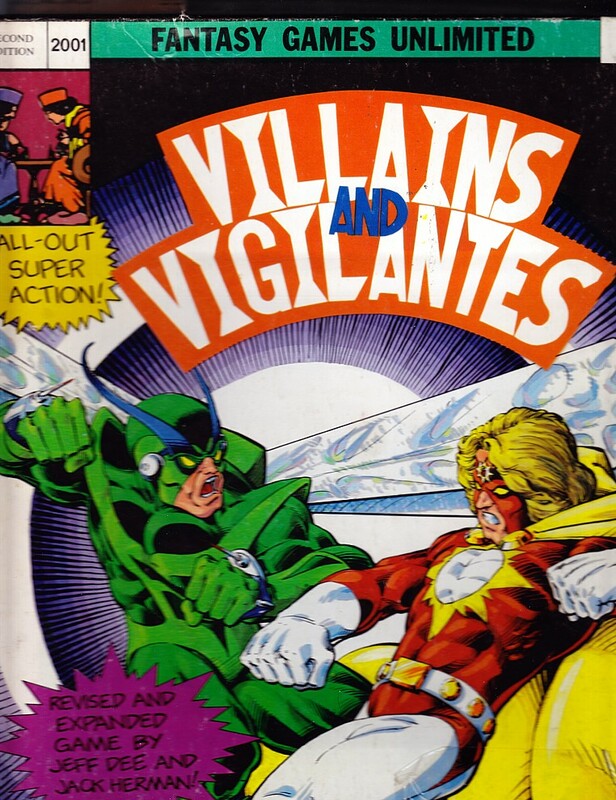 My first love among super-hero RPGs was Villains and Vigilantes. 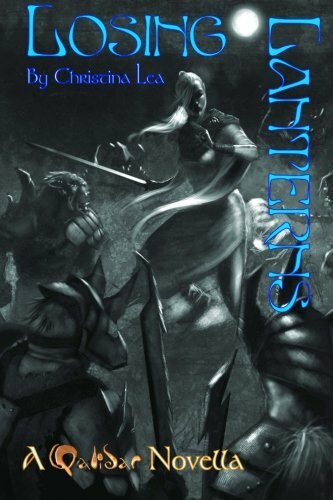 It's one of my first RPGs, period, for that matter. It was only after V&V showed me what these games could deliver that I really got into Dungeons & Dragons. I still love V&V as a player. As a GM, though, stat-building for all those characters and taking all those combat formulas into account during play is a daunting task. 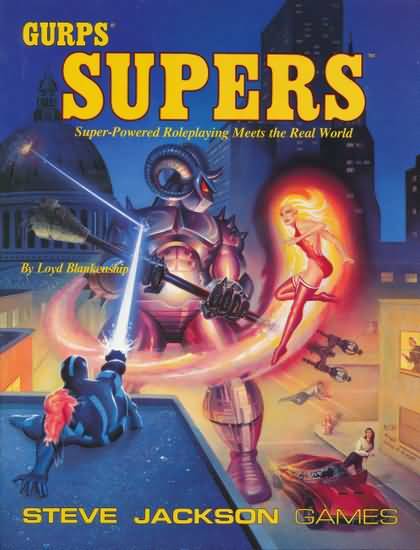 I used to play a lot of GURPS Supers once upon a time. We had a long-running campaign with all kinds of interlocking plots and conflicts. There were even a few spin-offs. 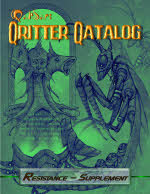 If V&V stats are daunting, though, the prospect of slogging through GURPS again is terrifying. I've heard there are some interesting offerings using the FATE system, but I hate all things FUDGE, so I didn't see much point in looking at those. I'm also not terribly fond of Savage Worlds. Maybe someday I'll talk about my reasons, but probably not. I wouldn't have even brought it up if I hadn't wanted to say something about why these popular choices weren't considered. Mutants and Masterminds got more than a brief look. It's a well-constructed game, based on mechanics I'm familiar with, and I already own a copy. There might even be a GM screen somewhere in my house because Tom was going to run it one year for... I don't remember why. It seems like a very unTom-like thing to do. M&M is a little more fussy than I wanted, but it stayed in the running until the end. If you want satisfying comic book hero rules, after all, there's always going to be some complexity creeping in. The original Marvel RPG from the 80's looked okay. I might have given it more consideration if I had ever owned a physical copy, and if I hadn't gotten really excited about something else before I got around to it. I had also picked up the more recent Marvel RPG by Margaret Weis Productions at Gen Con a couple of years ago. After a read-through, I didn't much like the look of the fidgety dice conventions and nothing else really grabbed me, but I admit I never gave the game a fair chance. I toyed with the idea of making my own super-hero game out of Tom's TACK system, or finishing the one Michael was developing, but either of those would be a lot of work, and I've already got plenty to do. Finding another job for myself is not at all what I had in mind. Maybe someday. 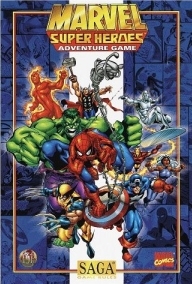 And then there's this little gem, the Marvel Super Heroes Adventure Game: SAGA System, which had been gleaming quietly on my shelf, virtually untouched, for years, along with three roster books. Mike & I had both picked up the game in 1999 or 2000 or thereabouts, tried a few fights, and liked it. It was particularly impressive that the Captain America versus Ultron test felt quite a bit like something that might happen in the comics (as opposed to, say, Cap being disintegrated in the first round or having powers beyond what you'd expect). And it was fun. We both talked about running some sessions with it, but our group was kind of sputtering out, and it was hard enough just to keep the D&D campaign going. So that game got shelved. Life and gaming moved on and I didn't think much about it until this weekend. When I picked it up this time to check it out, I couldn't even remember how it worked, beyond, "cards." They pack a lot of different uses into those colorful cards, all on top of a simple and brilliantly flexible system that makes it really easy to deal with the kinds of surprises that are bound to come up in a wild super-hero action game. Every time I flipped through the book thinking, "I wonder how they handle..." I found myself smiling. Often the answer was what I was hoping it would be. Just as often, it was better. So yeah, when my turn comes up to run something in our little get-together, I'm going to have them pick out characters from the books for a quick trial run, to get everyone (including me) more comfortable with the rules. After that, assuming all goes well, I figure I'll let them decide if they want to pick a character for the actual campaign or make one. I'd kind of prefer they make one, but it seems kind of scroogy to run Marvel Super Heroes and then tell people they can't play a Marvel character. Okay, so, yeah. Done blogging. Ready to play now.